Inside you'll find expert tips, creative ideas, and timesaving shortcuts for making the perfect pie--every time! Kelly Jaggers is a cookbook author, recipe developer, food photographer, and founder of the recipe blog Evil Shenanigans. She specializes in creating indulgent recipes featuring fresh, seasonal ingredients and lots and lots of butter! 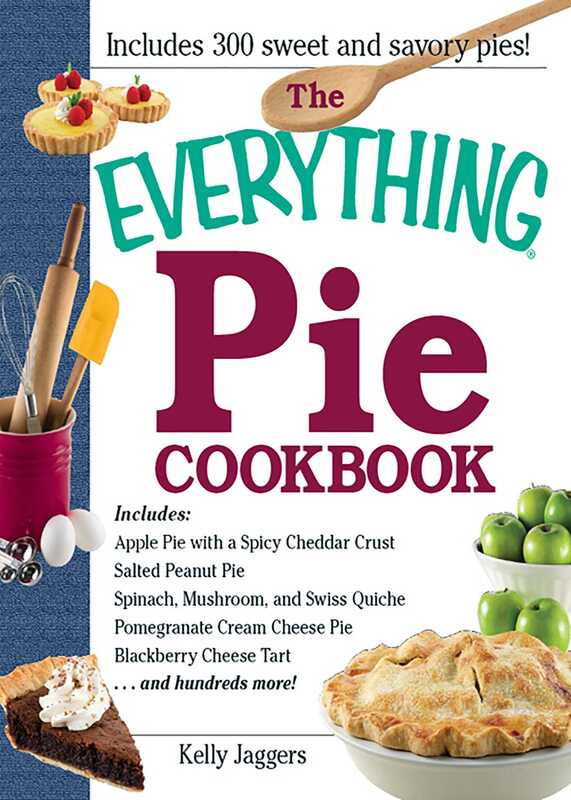 She is the author of The Everything® Pie Cookbook, Not-So-Humble Pies, Moufflet, The Everything® Easy Asian Cookbook, and The Everything® Dutch Oven Cookbook. When she is not developing recipes she works as a food stylist and food photographer, and she also teaches cooking classes and works as a personal chef and caterer. She lives in Dallas, Texas.